Title Insurance is the type of insurance that covers the potential damages from errors in the ownership records of the home or property. In most of the cases, you purchase title insurance when you get a mortgage. Title Insurance Policies cover either a homeowner or mortgage lender, but you will usually need to pay for both types as part of your closing costs. A Title Insurance Policy pays policyholder if there is anything wrong with a title for a property. Every title policy covers either a homeowner or the lender that financed the mortgage for the property. The lender requires to pay for lender’s title insurance as a part of your mortgage closing cost. There are many national title insurance company that claims to provide insurance coverage when you buy the policy and extend indefinitely into the past that covers both known and unknown inconsistencies in the document history of ownership. In this article, we will discuss why do you need Title Insurance in great detail. Purchasing lender’s title insurance is a mandatory part of the mortgage process. However, it is often a good idea to buy title coverage as a homeowner. Title Insurance can compensate for your damage or legal cost in a variety of situation. Forged transfer of ownership right in the property. Any other title defects that existing prior to the start of your policy. While the actual number of the claim paid out to the title insurance purchases is relatively small, the open-ended nature of land recording means that there are several scenarios where title insurance save thousands of dollars in legal fees. The possibilities of the defective title go up if you are purchasing a foreclosed or otherwise troubled property. In most extreme situations, title insurance could end up compensating you for forfeiture for the whole property. You can choose your own title insurance company for both lender’s and homeowner’s title insurance, although few people actually do so. If you are considering purchasing a homeowner’s policy for yourself, it makes sense to do your own shopping. Title Insurance can often provide a discount if you purchase both sets of policy at the same time. Well, we have discussed thoroughly what title insurance exactly is. If you still have doubt, then go to this link. This website gives you an insight into what is title insurance with examples that helps you to understand better. We ask ourselves, why buy life insurance? Sometimes in these rather difficult financial times, we juggle our bills, deciding what creditor we could get away without paying this month. It seems easier for us to choose the insurance payment to escape. Big Mistake! We need life insurance, and we need to make sure our monthly premiums are paid on time. You may think that this payment is a luxury you can remove, but that’s not really the case! It’s a must, especially in these challenging economic times. If you want to get the best insurance policy for yourself, you may explore https://specialriskmanagers.com.au/. Probably the most obvious reason we get a life insurance policy is to protect those left behind us. Since our passing is bad enough on our nearest and dearest, we most certainly do not want to saddle them with our burial expenses and debt. Our life coverage takes care of those expenses and much more. You really need to think ahead and have a contingency plan, which is the major reason why we buy life insurance. For instance, if you have your own home and something occurs to you where you pass away, your life insurance coverage would act as mortgage protection and would repay any outstanding mortgage balance after your departure. We can even purchase term life insurance which can be used to cover an unsettled mortgage balance. You will need to opt for a term that coincides with the amount of your mortgage payment interval. Your life policy can have a provision in it that allows for your existing income to be paid to the beneficiary of your choice in case you pass away suddenly. It’s set-up so that the other person can live in the way used and keep the same regular of living. 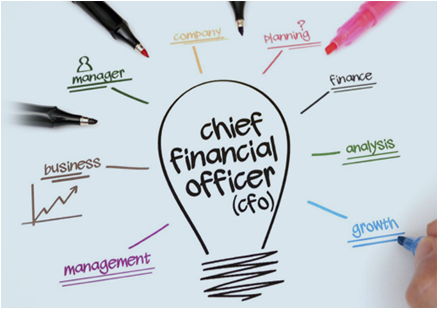 Chief financial officer(CFO) is the officer of the company that has a fundamental responsibility for controlling the company finance. He is responsible for financial planning, working on capital risk, maintaining records and financial broadcasting. 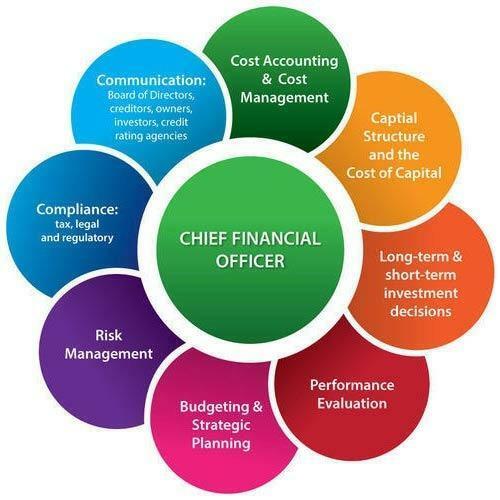 Most of the companies such as Pace Advisory provide CFO services i.e. designed to grow your business using available resources. They focus on profit protection, cash flow management and business planning. CFO ‘s have experience of working with multiple industries at a given time. CFO has knowledge and experience of a particular industry. A CFO Service in Melbourne is less expensive and doesn’t require bonuses. CFO pricing will be based only on the amount of time. CFO industry has been a strong network of an organization such as financiers, lenders and other experts. A CFO is part of CFO virtual team has not only his or her contacts but also has access to your network of the rest of the CFO ‘s on their team. A good business organization can keep your operations running smoothly. They can be applying methods to manage business finances. It’s a good idea to run a business. In other words, there are several ways to keep your business finance well-organized Click For More effective way to organise your business finance. Financial consultants are professional firms or people who provide advice on financial management and planning. Financial consultants analyze and guide the individuals In their efforts to manage their money and plans for financial security. Nowadays there are many options available in the market for the companies who are willing to hire financial consultants. These options can range from adding full-time specialist staff to their business or hiring a consultant, for seeking free advice from local authorities or investing in services from large financial advisory firms like hummingbird financial corporation. Financial consultants work with companies or individuals to plan their financial futures by offering information on topics that include taxes, investments, and insurance decisions and guide them through these situations. The financial consultants work closely with their clients to offer personalized financial guidance. Financial consultants also give instructions on the buying and selling of stocks and bonds for their clients. Some consultants work for consulting firms that aim at the financial needs of specific businesses, individuals or industries. They also evaluate the economic performance of companies and industries for firms and institutions with money to invest. The main objective of a financial advisor is to form a corporation with various customers by helping them to achieve their aims or goals. And they also work on to preserve the association of their clients with them. Financial advisers need to understand the economic condition of its customers and their requirement for a budget in order to make sure about their ethical duties or responsibilities. Financial consultants meet clients in person to gain knowledge about their financial condition. So that they could present a financial plan that includes both short- and long-term financial goals. They meet regularly with clients to know how life changes such as marriage, job change or the birth of a child will affect the client’s financial plan. In addition, many consultants are licensed to buy and sell financial products such as insurance policies, stocks, and bonds. Expert advice: They know more about managing and investing money than most people. They can guide you to better choices than you might make on your own. Best strategies: Financial consultants make the best strategies to implement so that it could improve your finances. Evolution. As your life circumstances change, a financial advisor can help you adjust your financial plan so that it always fits your current situation. Find out more information on financial consultants and their responsibilities and how they can help you plan your future, safe and secure.